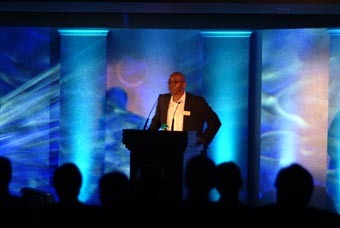 The Community Leadership Project, funded by the Connecting Communities Programme through Government Office for the North West was officially launched on 5 October 2004 at Ewood Park, Blackburn. 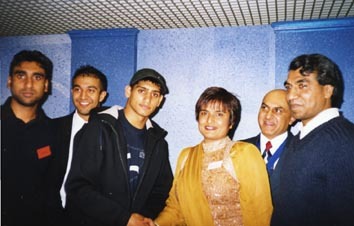 (Above) Siddika Ahmed of One North West, the BME network of North West Network with Amir Khan, the 2004 Olympic Silver medal-winner in Boxing who came to give his support. Along side him are two of the volunteers selected to undergo personal development training over the next 18 months. Also in the frame is Jan Virmani the Deputy Mayor for the area. (Above) Caryl Agard OBE, Chair of the One North West Task Group speaking at the launch of the Community Leadership Project.